Seventeen adults and seven children were displaced — though none were injured — in a Christmas Eve fire in Laurel. 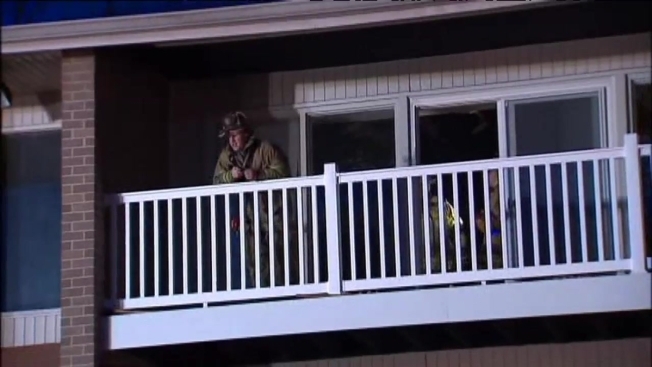 The fire started in an outside utility closet on a second-floor balcony, so many residents home at the time could not initially tell where it started. And by the time smoke alarms went off inside the building, flames were already shooting toward the third floor. The fire went to two alarms before it was extinguished. Investigators determined the fire was caused by a malfunctioning furnace. Baltimore Gas & Electric sent an emergency crew to restore power to half the affected building. Now, the Red Cross and apartment management are helping the 17 adults and 7 children affected find a place to stay.